While seated, rest your heel on the floor with your knee straight. 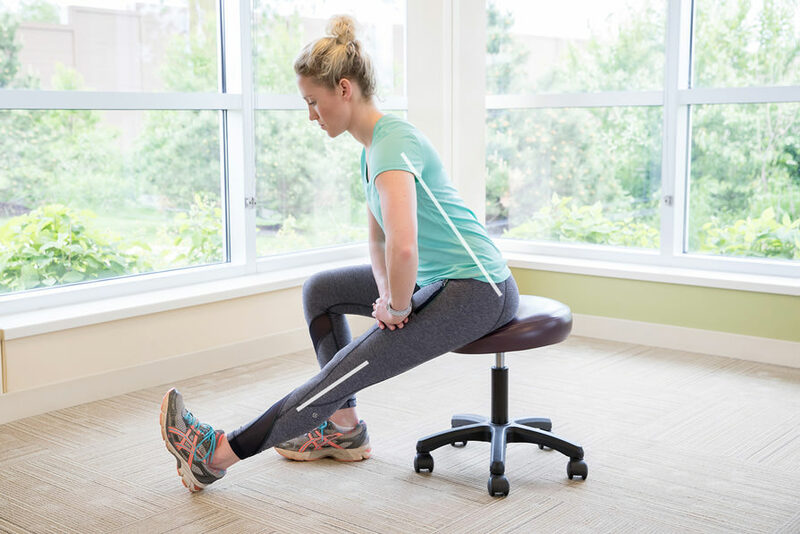 Gently lean forward until a stretch is felt behind your knee and thigh. Make sure to keep your back straight throughout this stretch.